This article was written by Lydia Latham from Queen Margaret University, Edinburgh, published on 2nd October 2015 and has been read 7209 times. 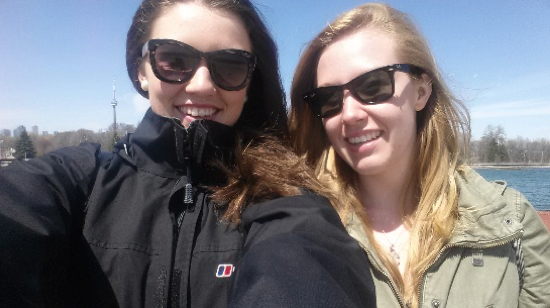 Lydia Latham recently spent 5 months on an exchange in Canada. In this article, she tells us about the ups and downs she experienced there and gives her advice for coping with anxiety abroad. So you had everything sorted. It was planned and organised to the nth degree. You have been looking forward to going on exchange for a long time and is something you had been thinking about for years beforehand. Yet, you’ve got that funny feeling again. The one you know all too well. Whether you actually ‘suffer’ from anxiety or just get anxious every so often, it affects every one of us, and with all the aspects to think about when going on exchange, it is understandable. There are plenty of things that get us worried: from the big things like booking plane tickets and acquiring a visa, to the small, but still equally important things, like knowing what clothes to take or remembering to buy an adaptor. For me, going on an exchange was a huge step. I love travelling places and still aim to see the world, but often I find in new places, especially in the evenings and, such as this case, after a long journey I become very anxious of the situation. I suffer from anxiety in everyday life too. Like I said before, the big things can make me very nervous, like meeting new people, but it is predominantly what people least expect that can trigger an anxiety attack. I am constantly writing lists and need to have every part of my life organised, causing major stress when things don’t quite go to plan. I also need to have people around me that I know and trust and so flying half way across the world, without the people that know me best, and not having any clue as to what was to come was very nerve wracking. There were a number of situations during my time abroad that caused major stress and anxiety. I spent my exchange, from January to May in Canada. I lived about an hour and a half from the capital and forty five minutes from Niagara Falls. It was an astonishingly beautiful part of the world to get the chance to see, but what I hadn’t realised was, that during the first few months, the region was having what they referred to as an ‘extreme winter’ to the point where Niagara Falls even froze. This meant not leaving your room to go anywhere but classes and became a struggle for me as I often felt cooped up in my little room. My roommate could have not been lovelier, but often you just need to get out of that space, mentally and literally, and doing so would have meant either walking round the university campus during my time off or going outside and being hit by a -20 blizzard. Another issue I struggled to deal with quite a lot was the homesickness. This was mainly because, with Canada being five hours behind the UK, it meant that when I really wanted to chat my parents in the evening about something that was worrying me or making me anxious, they were already asleep. This wasn’t helped by the fact that during my time away, I missed five of my friend’s birthdays, and, as selfish as it sounds, it was hard seeing them together having a good time without me. My worst anxiety attack happened during reading week when I travelled to Montreal with two other people from my university who were also on exchange. The day could not have gone less to plan. We missed the taxi to the airport and then having got in another, found out that our flight had been cancelled and the next one wasn’t for nine hours (which was then delayed.) By the time we eventually reached the hotel, it was -40 degrees outside and I was freezing, exhausted and having the worst panic attack of my life. I didn’t want the others to realise that I was upset, but what is worse than having a panic attack is trying to make it not look like you are having a panic attack. So I sat in the hotel lobby toilets, breathless and crying and not being able to speak to anyone. It was a low point, I’ll give you that, but looking back on it, as I do most situations that have caused me stress, I can now see the funny side of that day. From what you have read it may seem like I had a pretty rubbish time, but in fact, looking back, there were a lot more ups than down. I saw some incredible places whilst I was there, including the Falls, in both winter and spring, Toronto, Nova Scotia and even Montreal turned out to be a great trip in the end. I also met some amazing people, many of which I know I will be friends with for a long time. It can be difficult having anxiety whilst also trying to have the time of your life, so here is some advice that I found useful for dealing with my anxiety whilst I was on exchange. I think I did this far too often and my parents got the impression my trip was awful. In fact, I had a really great time, it was just that often I was too busy having fun to actually tell them that. You should always be reassuring them that you are doing okay anyway, just for their piece of mind! 2. Write things down and take plenty of photos. Writing down how I was feeling really helped me during my time on exchange. 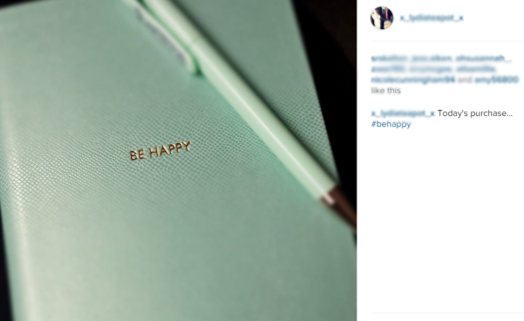 I bought a notepad with ‘Be Happy’ written on the front and made a pact with myself to write down whenever something fun or amazing happened. You’ll also probably have armed yourself with your phone or a good camera to take lots of pictures with whilst you’re away (who wouldn’t? Most cities have loads of Instagram worthy places to take pictures of! ), but having lots of photos is useful for someone with anxiety. To be able to look back, realise how far I had come as a person and recognise how much fun I was actually having really changed my outlook of the experience. I have always believed that if you can count the bad times then you are doing okay, it means there’s enough to count. If you can count the good times, then there is something wrong because there should always be too many to remember. Looking back at pictures and journal entries remind me of those good times I had forgotten about and I find myself smiling just thinking about them. It seems silly, but if you are constantly reminded of what is happening at home, then you are never going to fully experience this amazing opportunity. Rather than getting upset that your friends are having fun without you, try and make new ones! You will only be on this particular exchange for a short time, so enjoy it whilst you can. 4. There is always someone you can talk to. My saving grace was a girl called Hayley that I became really good friends with during my time in Canada. After a short while it felt as if we had known each other for years and she became someone I could really trust and confide in. She even let me live with her family for two weeks at the end of my trip! However, doing an exchange also means that there will be a number of professionals at the university that you can talk to. You can usually find the names and emails of these people on the uni website and arrange a meeting if need be. What is the advice that most people give you when you go on exchange? Mine was: Work hard and have fun. Now as much as you are going to have to work hard and still focus on your studies, there is no point in going all the way to another country and spending the whole time in the library. You could’ve done that at home. As much as it can be scary, there are SO many places worth having an anxiety attack for, believe me. If it means you take a day to get used to somewhere before you have the get up and go to fully explore it, that’s fine. However, life begins at the end of your comfort zone, so get out there and see it!